Having years of experience in the industry, we are involved in the field of manufacture, supply, trade, import, export and service provider of Heating Element Machines comprising of Automatic Coil Winding Machines, Automatic MgO Powder Filling Machines, 8 Station Rolling Machines, Testing Tables,Annealing Machines,Bending machines,Stamping Machines,Industral Oven,Tube Cutter, Tuber Grinder etc. These are renowned for their splendid quality and long functional life. We are involved in the field of manufacture, supply, trade, import, export and service provider of Tube Bending Machines. 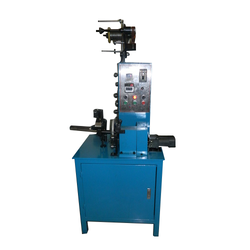 Widely used for bending the tubes, angles, channels, flats, pipes; these bending machines are manufactured from the best quality material sourced from our genuine industry vendors. Moreover, these tube bending machines require least amount of maintenance and are available in wide ranging specifications and models. The specialty of our organization lies in the field of manufacture, supply, trade, import, export and service provider of 8 station Rolling Machines to the clients. Avail from us the best quality rolling machines. 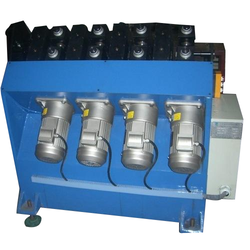 Since the inception of our organization, we are involved in the domain of manufacture, supply, trade, import, export and service provider of Automatic Annealing Machines. True to their name, these machines have automatic mechanism. These machines use the technique of annealing in which given equipment is exposed to an elevated temperature range and then slowly cooled. Our range is perfect for normalizing, stress relieving and process annealing. 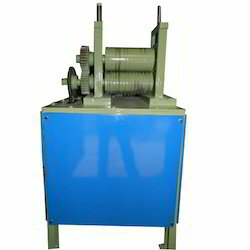 We deal in the manufacture, supply, trade, import, export and service provider of Thread Rolling Machines. Developed and designed by the leading experts of the industry, these rolling machines fully adhere to the industry laid parameters. 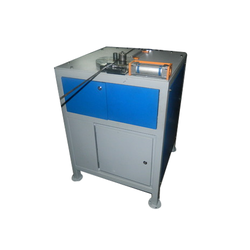 These rolling machines consume least amount of power and give excellent performance for pretty long period of time.